A car mat set of Car Parts Expert tailor made for your Alfa Romeo GTV - Spider and thus it has guaranteed the right fit. The foot mats come - if possible - with the original fixation system of your car, to ensure that the mats remain securely in place. Fibre bonded car mats are the cost-conscious alternative. Our fibre bonded mats are robust and the driver’s mat is equipped with an extra heel pad for a longer lifetime. Fibre bonded carpet is less susceptible to stains than velour, however, dirt clings easier to these car mats, making them less easy to clean than velour car mats. 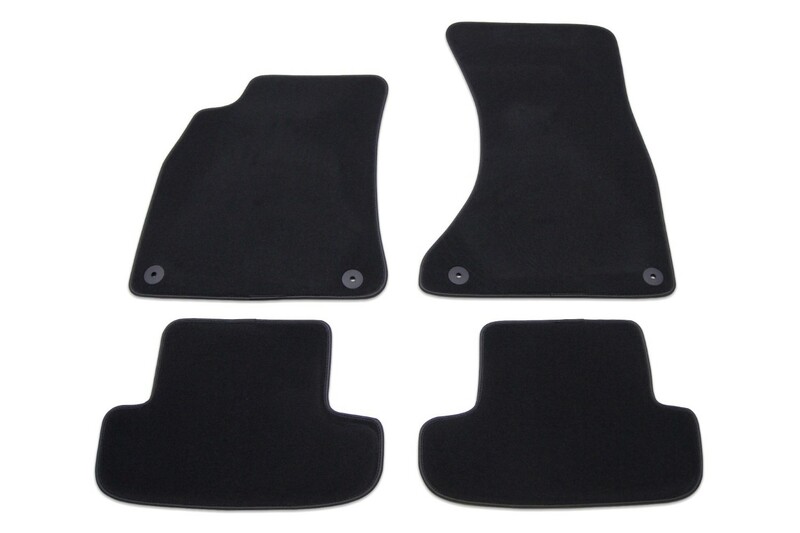 Luxury velour car mats are made of high quality polyamide fiber. This material has the advantage that it is dirt-repellent. It has a velvet soft feel and a matt gloss look. Velours gives your car a luxurious look and generally has a longer lifetime than fibre bonded carpet. Premium velour floor mats have the same characteristics as the standard velour mats, but this is an even heavier quality for an extra long lifetime and even more luxurious look.